My Favorite part of the build up to Christmas is watching as many Christmas films as humanly possible! I absolutely adore them and their feel good spirit! It really gets me excited and counting down to the big day its self! So I thought I would share with you lovelies my top six (I tried to make this 5 as I thought it sounded a better number but just couldn’t cut it down!) all time favorite Christmas films! 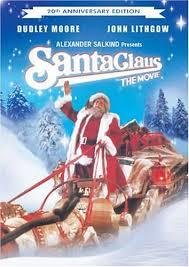 Santa Clause the Movie – it has to be the old one not the new one! We watched this every Christmas Eve growing up and it was a fab tradition that we still stick to now! Love Actually – this one reminds me of my mum and sister who are also huge fans of this film! Definitely one to get the Christmas spirit flowing, who doesn’t love a film with Hugh Grant in it! Miracle of 34th street – who doesn’t love this film?! Richard Attenborough is the perfect Father Christmas who gets the little girl believing. 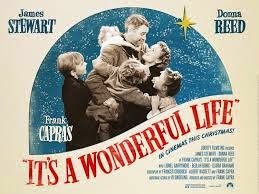 It’s a Wonderful Life – this is my all time favorite movie let alone Christmas movie! It is just such a lovely heartwarming film and never fails to make me feel all gooey inside! The Polar Express – this one melts my cold stone heart every time! Its true Christmas magic! It is just too cute! 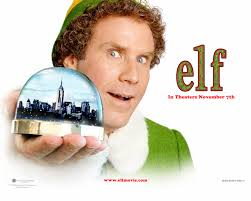 Elf – for a laugh a minute you need to watch this film!! I wouldn’t say I’m a massive fan of Will Ferrell I find him massively annoying in most films but this is a massive exception! As buddy the elf he is hilarious and cute, love it! What Christmas movies get you in the Christmas spirit? would love some new recommendations! Definitely agree with 1 and 3! 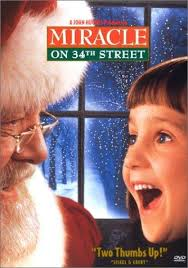 I love Miracle on 34th Street, The Polar Express and Santa Clause The Movie. Its law, that you have to watch at least one of these at Christmas time. #TBT Homemade Christmas Gift Tags!